Ever since Mariel surprised us with her breaking baby news, we have been following her dreamy baby bump photos on Facebook and Instagram. And now that she is nearing her due date, she has given us another dose of adorableness – a name reveal baby shower in a classical music wonder. Boy, oh boy, this baby shower meets classical music is totally happening! They say music makes us happier, and we think our blooming expectant mom would agree. Did you know that she loves playing classical music for her baby? #BabyMozart is her favorite, and this inspired Kaye Garcia to create this bash that is giving us all the feels and the #babyshowergoals. Kaye Garcia – is there anything that she touches that is not just totally divine? I mean she is known for her impeccably styled events, so why would the baby shower of her sister be any different? From what we can tell from the photos, the decorations clearly do not skimp on style, and the white palette in every nook and cranny of the venue truly makes the space shine. We do not know about you, but we are so excited to see these drop dead gorgeous snaps by Little People Lifestyle Photography! So now, without further ado, presenting the most creative baby shower in town! So simple on a square frame, this pink graphic design of Mozart adds a fun accent and color element to the stage backdrop. It is kind of genius to pick a space that is already bright to catch the heavenly feel of the celebration. Huge props to the hanging clouds and lanterns, we appreciate how they add charm and whimsy, and keep the room aglow. This is tabletop perfection! From the totally cute wooden musical notes to the cupcakes topped with chocolate dipped strawberry in domed stands, there is just too many things to love about the tablescape! We cannot decide what we love more, the tablescape or the extra awesome adornment on the seats. The ghost chair and sweet angel wings are a match made in party heaven! Absolutely dreamy! Cuppy Puppy Bakehouse is known for whipping up seriously pretty confections. And this year, that included this purple marbled cake that blurs the line between food and art. We honestly cannot stop staring at the musical stave deets! Treats on treats on treats! The Sweet Life by Ange also baked up a storm of gorgeous desserts for this baby shower! Basketweave and Ombre cakes topped with chocolate dipped strawberry are going to start popping anytime now… we swear. As dessert bars go, Kaye Garcia is one who never disappoints. She styles the best of the best dessert stations we have ever seen, and she just blew our minds with another baby shower masterpiece. Featuring a rosy backdrop, white blooms, and wooden violas, this dessert display is about feminine and unique touches. The sweet treats also play a role, and we are not sure this spread could get any more gorgeous and on point. Swoon. Mason jars and straws? Check. Crates to keep the glass dispensers in place? Check. Colorful drinks? Check. Fresh-faced backdrop? Check. Okay, this juice bar is ready to party! These jar cakes, pillows, and cookies speak to the rest of the sweet celebration AKA the perfect memento. Big congrats to the happy couple and their growing fam! From the looks of the baby shower, Maria Isabella is going to arrive in style. One lucky baby! Time for Mommy, Mariel, and Kaye to take the center stage! Hello, beauties! But truth be told, the real star here is that growing baby bump. Teehee! Many thanks to Little People Lifestyle Photography! 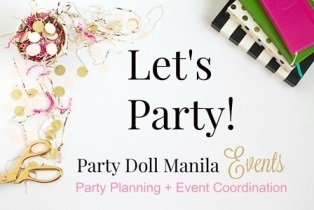 Venue: Discovery Primea // Event styling: Kaye Garcia Events // Photo coverage: Little People Lifestyle Photography // Cakes and desserts – Cuppy Puppy Bakehouse and The Sweet Life by Ange // Juices: NawwTy’s Kitchen // Giveaways: Bottled Up PH, Instamug, Made In Candy PH, and The Sweet Life by Ange.